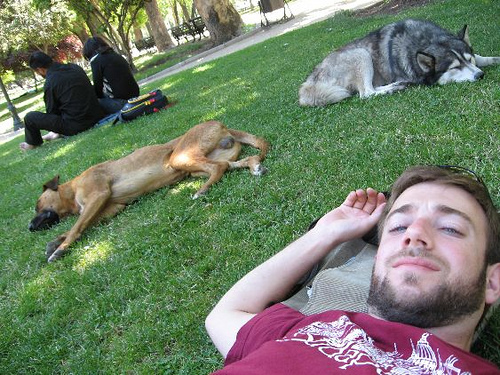 Yes, that is me taking a nap with a couple of stray dogs in Santiago, Chile. Now that I have your attention . . . Ever visit Facebook and wish there was more TheExpeditioner.com there? Here’s your solution: Head over to our Facebook page here and hit “Like” for story updates and travel news tips. And while you’re at it, follow us on Twitter here. While you do that I’ll be over here looking for a clearer patch of grass.